A new official picture of Prince George has been released as he turns five. The eldest child of the Duke and Duchess of Cambridge was photographed in the garden of Clarence House. The picture, showing the prince grinning at something – or someone – off camera, was taken after the christening of Prince Louis. The photographer, Matt Porteous, had also taken private pictures for William and Kate at the christening of two-month-old Louis earlier this month. 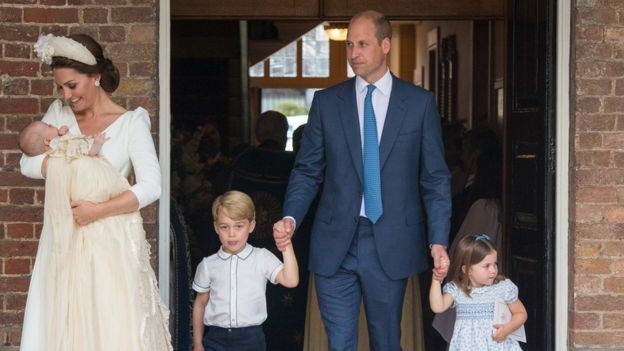 George was last seen, alongside his siblings and parents, at the christening in The Chapel Royal at St James’s Palace. 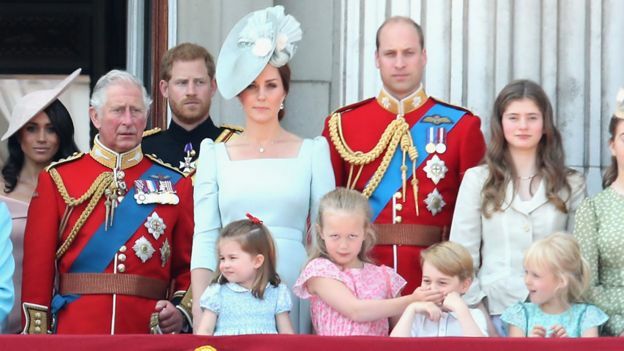 It was the first time the family-of-five had been seen together. 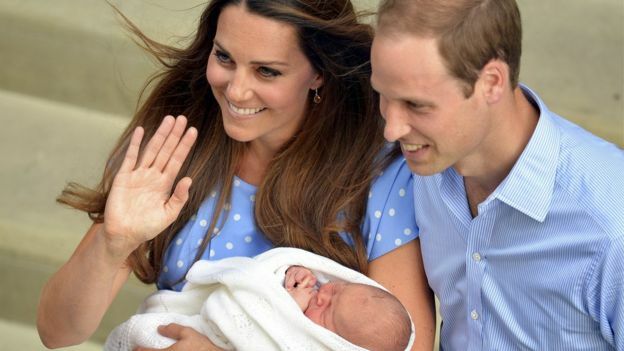 George Alexander Louis of Cambridge was born in the private Lindo Wing at St Mary’s Hospital, Paddington, at 4.24pm on 22 July 2013, weighing 8lb 6oz. A great-grandson of the Queen, he is third in line to the throne. He has made a number of public appearances in the past 12 months, including on the balcony at Buckingham Palace for the Queen’s official birthday celebrations in June. The young prince was seen having fun with Savannah Phillips, the seven-year-old daughter of William’s cousin Peter and his wife Autumn Phillips, who jokingly told him to shush and put her hand over his mouth. 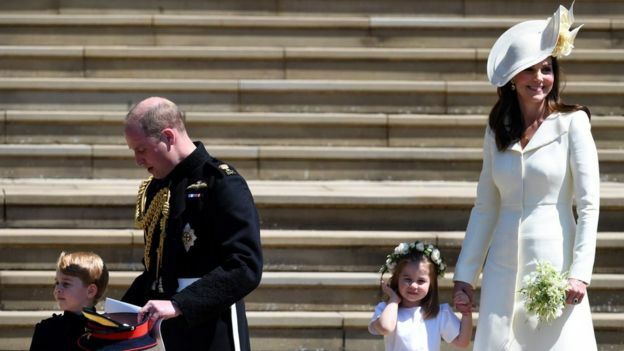 He was also a page boy at the wedding of his uncle Prince Harry to Meghan Markle in May. George recently completed his first year at school, Thomas’s Battersea in south London, where he played a sheep in the nativity play at Christmas. He is said to love helicopters and flying – perhaps taking after his father, who worked as an RAF search and rescue helicopter pilot. To mark his birthday, a new £5 coin has been issued by the Royal Mint, showing St George and the Dragon on its reverse.